I am heading to Doncaster on Monday for the yearly 'Spring Sales' which will take place over 3 days, the first day and most of the second day is solely for Horses in Training (over 360 lots in total) . There is always a lot of high class performers sold at this sale as was shown recently when Uxizandre won the 2015 Ryanair Chase after being purchase here in 2013. I will be looking to buy a open horse which can hopefully be aimed at Cheltenham or Aintree or possibly even both. There are a few who I have got my eye on who I believe should be able to reach such targets. I will also be looking for a horse which is still a maiden but has experience from the 'track' or from the Irish pointing field. 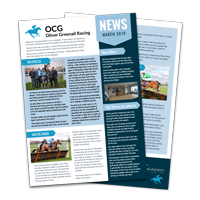 These types can often provide a lot of fun for owners as they are ready to run as soon as the new season comes along and have the vital experience needed to get through the grade as quickly as possible. The final day and part of the second day offer a high class catalogue of 'stores' with over 260 lots offered in total. 'Stores' are 3 and 4 year olds who are still unbroken and still haven't been sat on, all the top Sires are represented and plenty of produce from black type broodmares. Bobs Worth and Tidal Bay are examples of what top class horses have been sold as Stores at this sale. I have had quite a lot of success buying from this sale and hopefully can offer an owner a lot of fun as they watch their horse develop right from the start and who knows one day they my be stood in the winners enclosure at Cheltenham. That's the dream anyway!